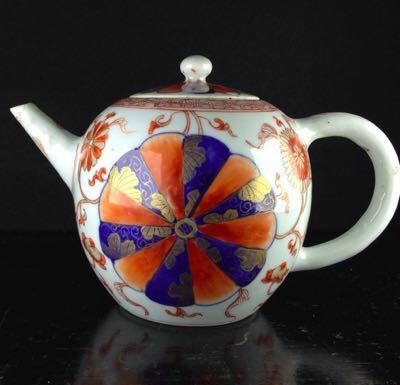 This thrice-repaired Chinese porcelain globular form teapot with Japanese influenced Imari decoration, is painted with a large chrysanthemum motif in underglaze blue, overglaze iron red and gilding, surrounded by stylized scrolling foliage. 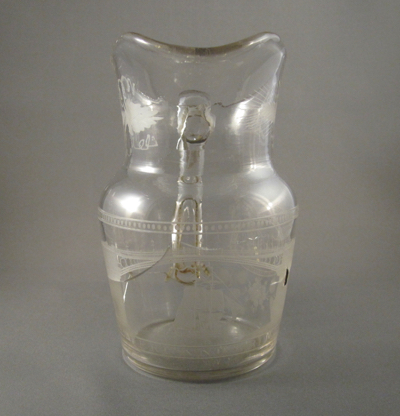 The bullet shape was inspired by European silver of the same period. 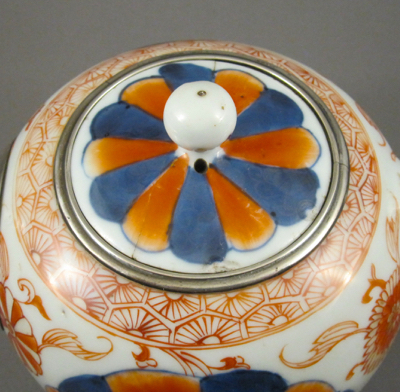 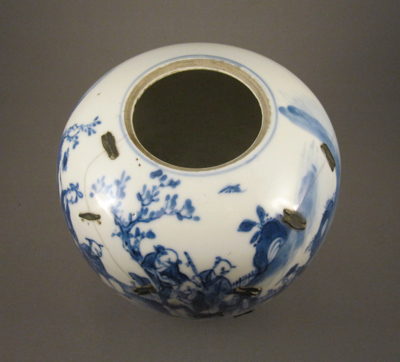 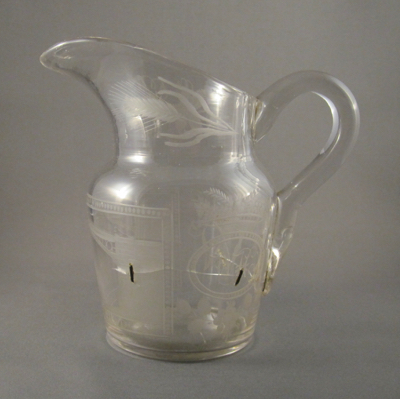 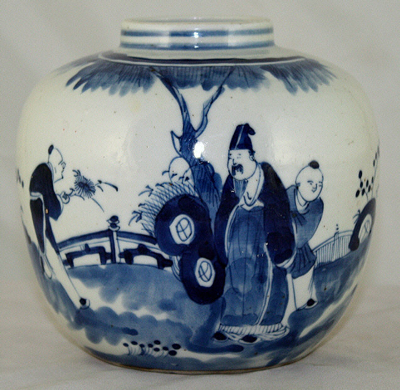 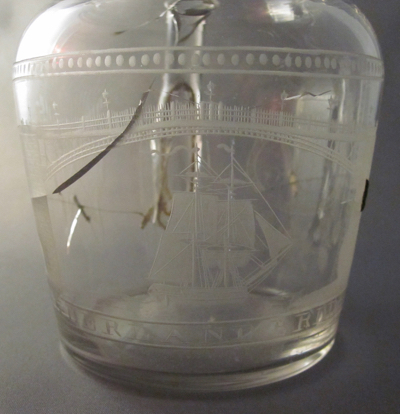 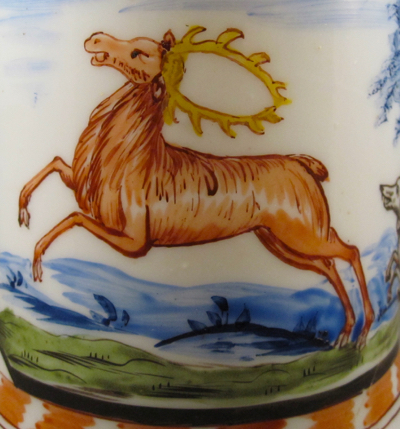 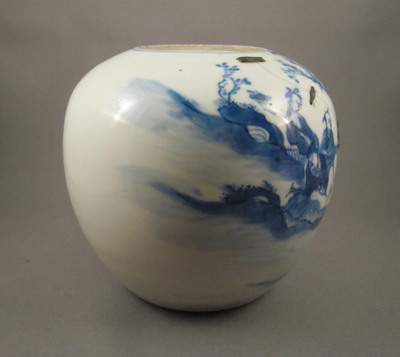 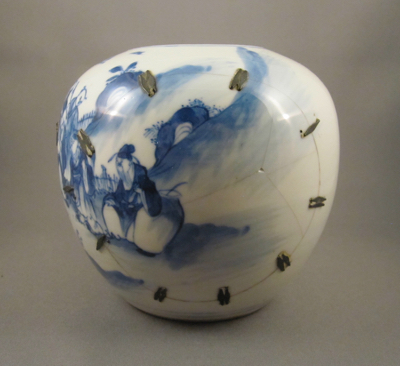 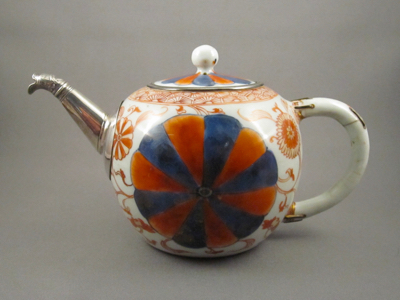 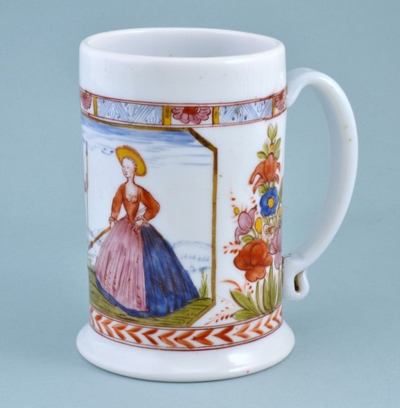 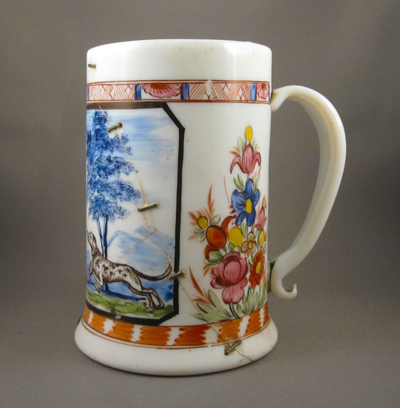 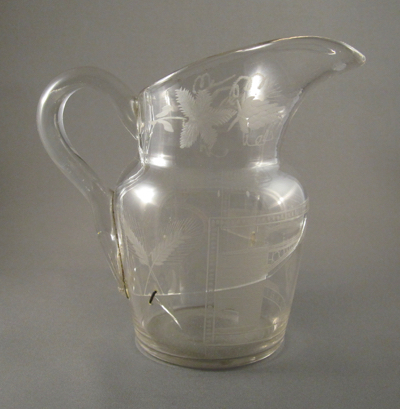 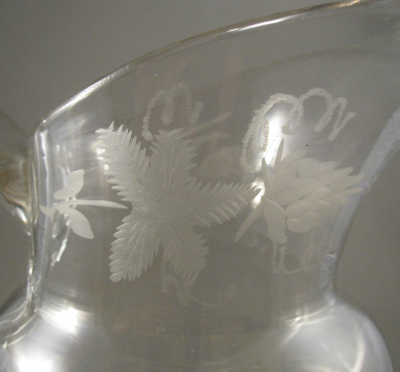 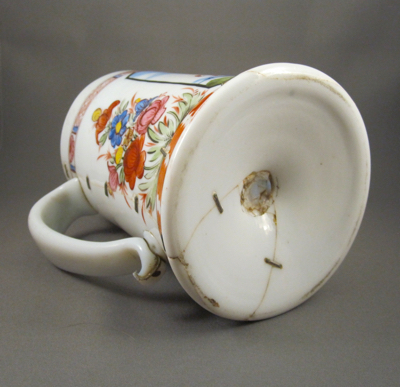 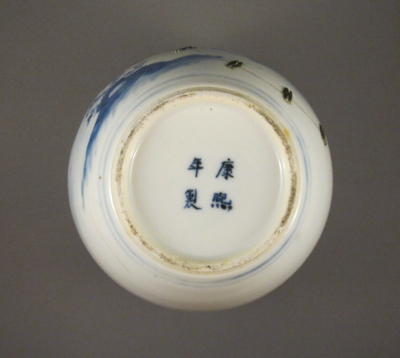 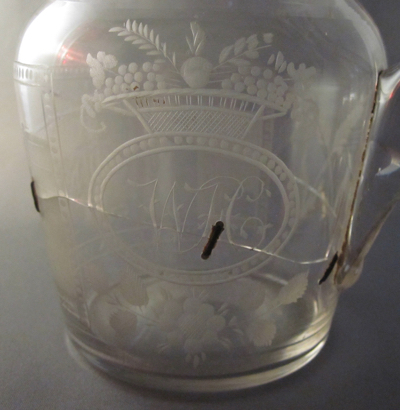 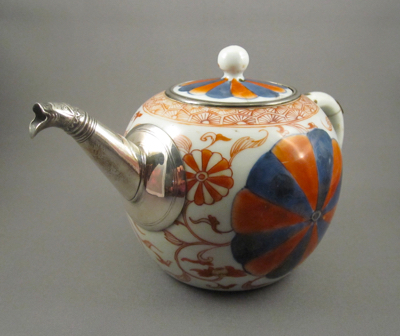 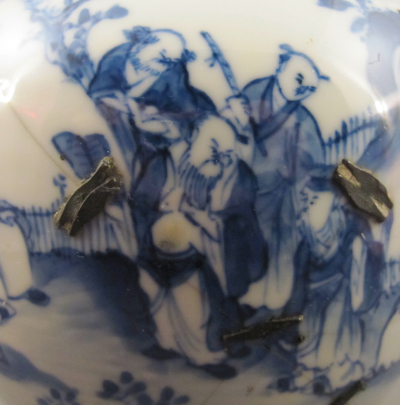 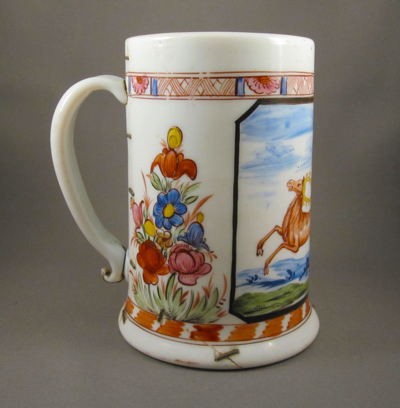 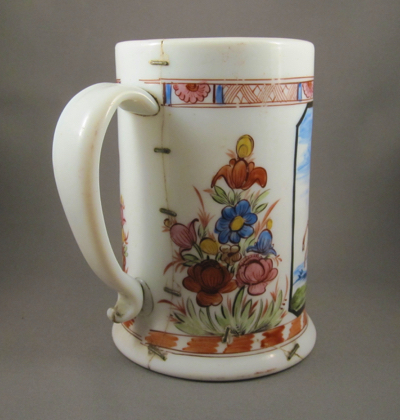 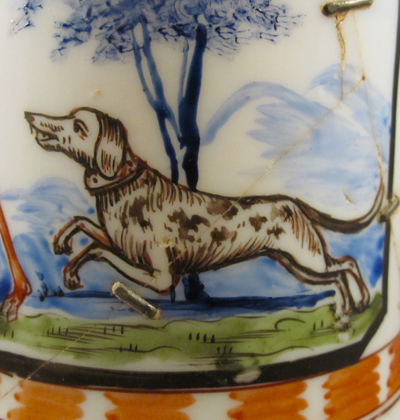 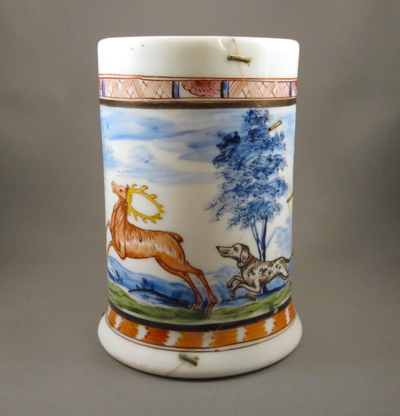 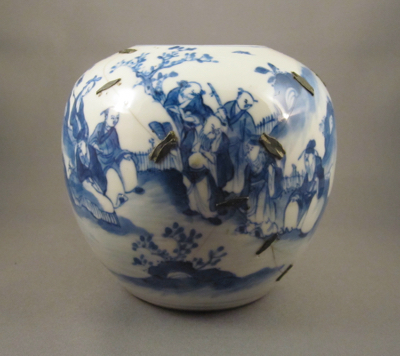 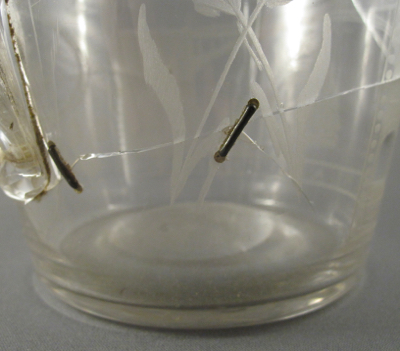 It measures 4-1/2″ high and 7-1/2″ wide from handle to spout and dates to around 1720. 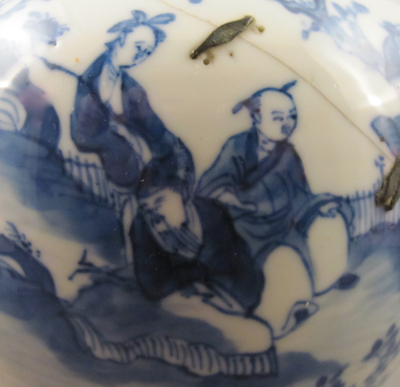 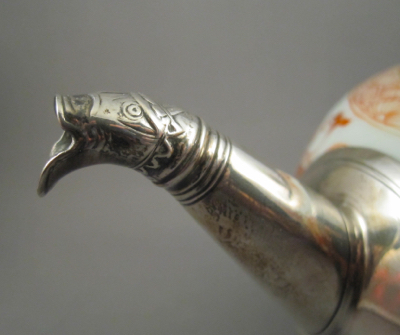 After the teapot was dropped over 200 years ago, resulting in a broken handle and spout, it was taken to a skilled silversmith who created this unusual silver zoomorphic replacement spout, added an engraved silver collar and used metal staples to repair the handle. 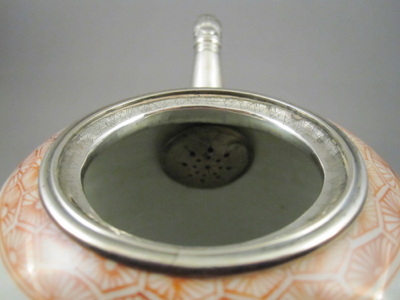 In my opinion, the silver additions transform a perfectly nice teapot into a unique work of art. 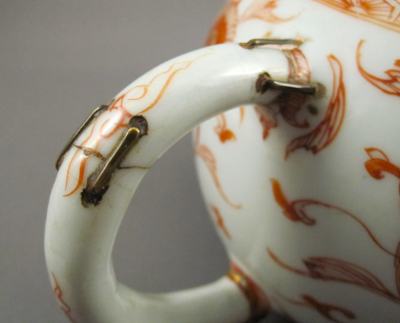 This nearly identical teapot shows what the original spout on mine looked like before it took a tumble.